Maitrī is one of the Four Immeasurables in Tibetan Buddhist thought, and one of the Ten Perfections in Theravadin Buddhism. 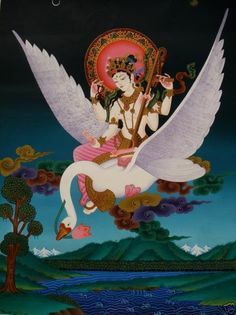 Maitrī can be defined as an active feeling of kindness and goodwill towards all other sentient beings. In Pali, it is known as Metta, and it is usually translated into English as lovingkindness or benevolence. Meditation on maitrī is popular in many traditions of Buddhism, and has even gained popularity in the West as part of the mindfulness craze. These meditations are simple but potent. Though they often consist of no more than repeating benevolent phrases such as “may you be happy” while visualizing family, friends, strangers, and even one’s enemies, the effect is very powerful. Posted on June 25, 2016 June 25, 2016 by Redfaery	This entry was posted in Resources and tagged Buddhism, meditation, Metta. Bookmark the permalink.